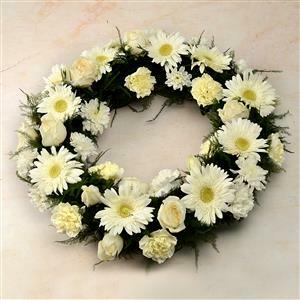 Offer your heart-ful condolences to your dear family members in all cities in India with this wreath comprising of 12 white roses 12 white gerberas 12 white carnations . 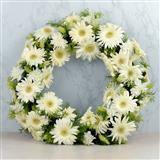 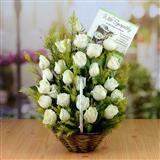 There are also white roses on one end of the wreath to provide a sense of completeness. 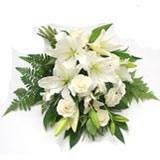 On the hard times convey a feeling of 'There For You.' 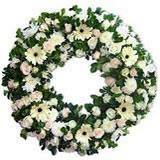 with this wreath. 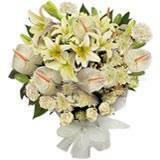 You can also order Gifts across India through GiftsAcrossIndia.com.